Clubs & Assoc: Dogs VIC, Labrador Retriever Club VIC, Ballarat Dog Obedience Club, Australian Flyball Assoc. 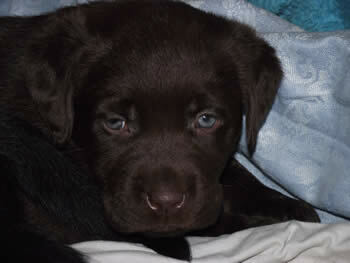 Clemkirk Labrador Retrievers was established in 1992. We are situated in the Pyrennes Ranges, Moonambel, Victoria, which is about 50 minutes drive north of Ballarat. We are members of the Labrador Retriever Club of Victoria, Ballarat Dog Obedience Club and the Australian Flyball Association.Over the years we have many titles gained in dog activities such as Obedience, Agility, Flyball, Tracking. Two of our dogs have also been VCA Qualified Therapy dogs and regularly attended nursing homes. All of our breeding stock have been health screened as recommended by the Labrador Retriever Club of Victoria. They have also been hip and elbow X-rayed and have current clear eye certificates. We DNA test for PRA and EIC. We permanently identify all of our breeding stock with microchips. Many of our puppies have gone to The Royal Society For The Blind and Guide Dogs South Australia for training as guide dogs. 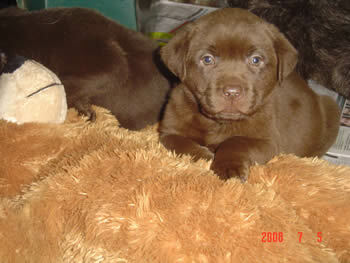 - provided with pedigree papers and copies of all health checks. We also provide the puppy buyer with information about socialisation, exercise, training, feeding, vaccinations, proper veterinary care, and responsible dog ownership. Our dogs are our companions and we hope that one day they will be yours too.